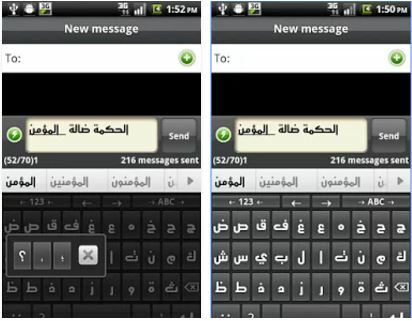 Any Soft Keyboard is an on-screen keyboard with multiple languages support. * Multi-languages keyboard support via external packages. * Completion dictionaries for multiple languages. 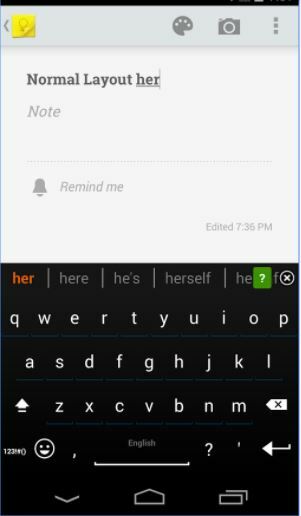 * Also completes your typed words from you contacts names (Android 2.0+)! * And, learns your typing behaviour to provide next-word prediction. * Multi-Touch support (as in, pressing SHIFT along with other characters). * Extension keyboard (swipe your finger all the way up out of the keyboard). * Voice Input support (Android 2.2+). ** Swipe down to close the keyboard. * Theme support (comes with a few built-in skins). * Build-in user dictionary words editor. * Build-in abbreviations dictionary: create shortcuts for words and sentences. ** Clipboard actions copy, paste, select-all, select selectively (long-press select and use arrow keys).